He turned 77 the week the trip began. He rode for 22 hours in a van (mostly in the back) that began to develop an aroma all its own. He spent a week in a cabin that had no running water but allowed plenty of outside air to come in. He went to bed late and got up early. Why? 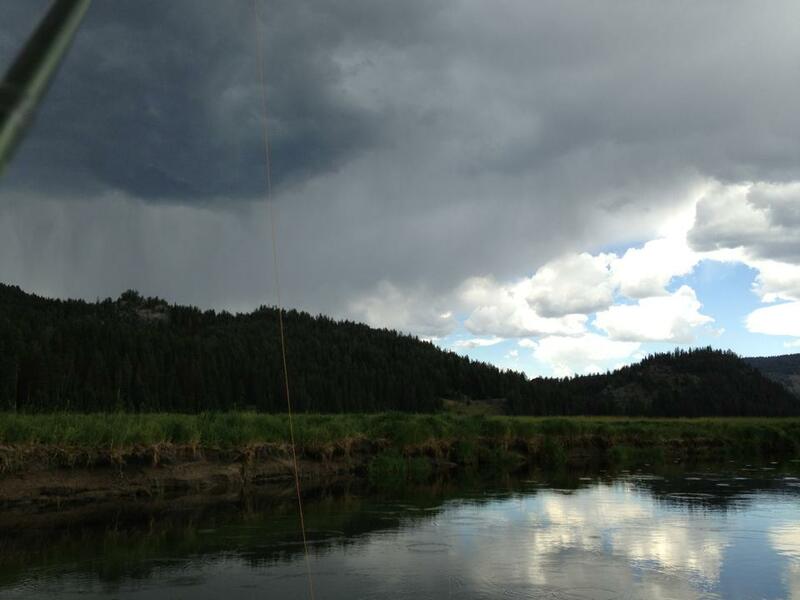 Fly fishing in Yellowstone. 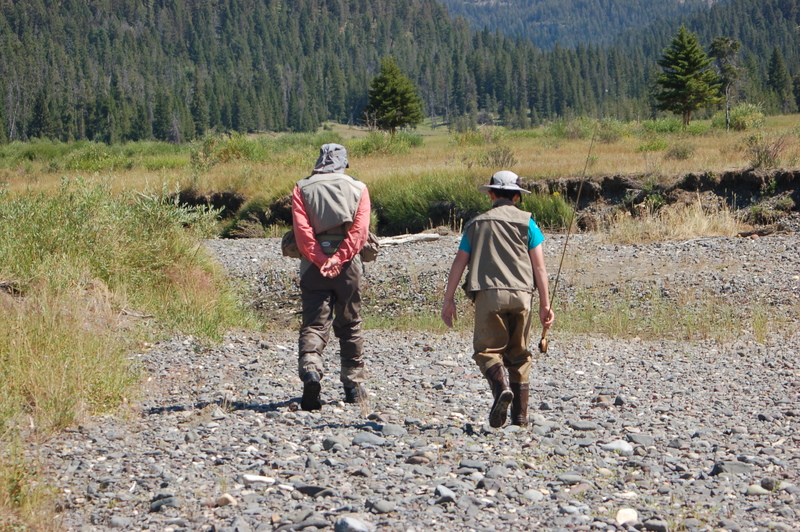 My two boys, my younger brother, my dad and I spent 6 days fishing in some of the worlds best trout streams and lakes. We had a blast. We fished. We hiked in order to fish (usually uphill). We laughed and were silly. We were with one another. We were with God in some of his best handiwork. But the trip was more than a fishing trip. At least for me. 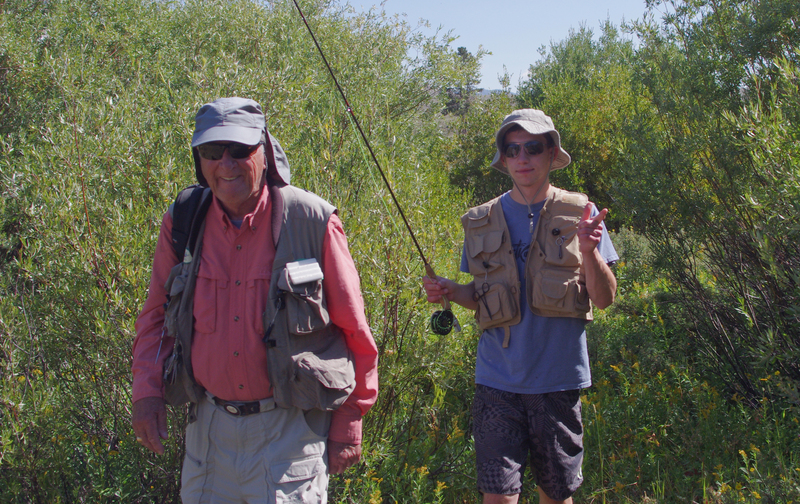 For me it was about my boys being able to spend time with Grandpa doing something he truly loves doing. For me it was about them experiencing Slough Creek while my dad still has the legs to make the hike to the first meadow. The trip was really my wife’s idea. And when you have a spouse (25 years!) who tells you to take your dad and boys to Yellowstone fishing, you are truly blessed! But it was my gig to plan and make all the arrangements for. My dad and brother were going with, but I was in charge of making it happen. Our first full day of fishing was on Wednesday and my dad did something that surprised me. When we got out of the van at Black Deer Creek, he didn’t gear up. He had a brand new Sage Rod calling out to the trout in the stream. I know, because I found it on ebay for him. But he left it in the case – on the first day! We only had 5 1/2 days of fishing in Yellowstone. My dad had been clear from the outset, “if I’m going, I’m going to fish. Not sightsee.” Not only did my dad not fish on that first full day, but he spent two days not fishing. He spend one day alongside Michael and he spent another alongside Andrew. My dad is one of my spiritual heroes. He isn’t perfect; but, I hope I can grow and be the kind of man he is. I have witnessed more transformation in his life than anyone else I know. Without knowing it and quite unintentionally, my dad taught me a lesson on leadership in this trip. I define love in this way, to will and act for the good of others; and that is what my dad did. 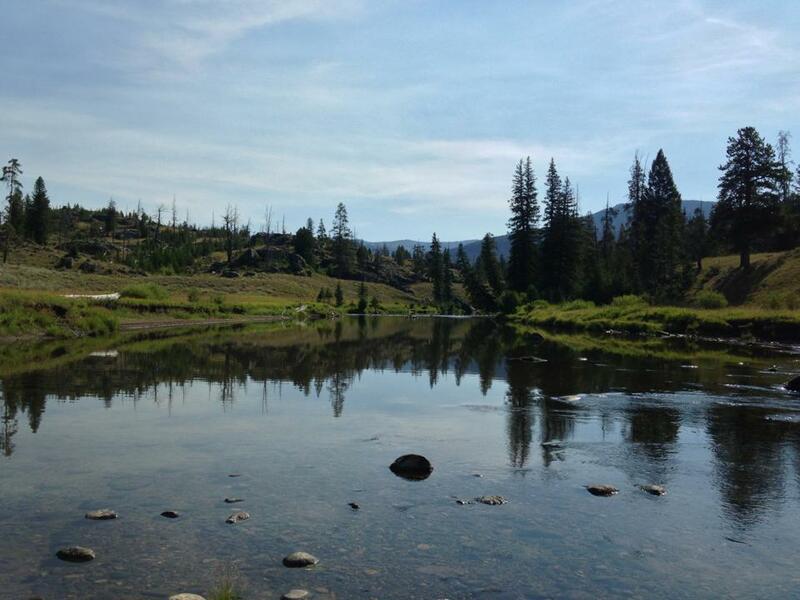 He loves my kids and willed that my sons would experience success fishing in Yellowstone. He gave up (sacrificed) his opportunities to fish in order to give them the time and space needed to get a feel for the art of fly fishing. Jesus said that he came not to be served but to serve. In the upper room he invited the disciples present to learn how to lead through an act of service. That act of service was rooted in love. Leaders are called to love those they do life with. As such, leaders are called to serve those they do life with. I want to be the kind of leader who loves the people around me enough that I will and act so they experience fruit in the ministry and lives. It’s possible, however, to “serve” others as a way of manipulating people and environments in order to accomplish our agenda. Paul reminds us in 1Cor 13 that serving in that way is just making noise. I do that, I think, a lot. I want to look like I love people and so I will serve them; but that is usually to get my own way. I don’t think I am alone. What made it so powerful when Jesus picked up the basin of water – What made it so powerful when my dad left his fly rod in the van – was that it was done out of love. Lord, help me to love more and manipulate less. But I did have one, a love nest. Back in college. Kirk and I did. We lofted our beds on either side, put an early rummage sofa under one side and my newly acquired stereo with turntable and 3 way floor shakers on the other, next to the 13″ tv and VCR. We never had any girls in the love nest but our music was loud and we watched plenty of Arnold or Stallone movies. I’m not talking about that kind of nest, tho. However much fun that might be. I am talking about the kind of nest leaders create out of love so the amazing people they work with not only survive, but flourish and thrive. God created the first love nest. In Genesis chapter 1. Read it, I’ll wait. Genesis 1 really isn’t about science. Sorry. It really isn’t about the number of days for creation – again, sorry. But keep reading. The account of creation is so much more than that. It confronted a worldview at the time of its writing that didn’t know of “a creator.” And, it describes the purpose of all that was created. A love nest for leadership. Looking carefully we see the progression in chapter 1 of creating space with light and dark, the separating of waters so there could be atmosphere, the gathering of water and land into a planet (we call it Earth), vegetation to support animal life. And all of this to create the perfect nest, or environment, where those made in the image of God would do much more than survive. Where they would live fully human lives according to their design. Out of his extravagant love, God created the perfect nest, environment and culture, for mankind to thrive doing what they were created for – stewarding creation by working and caring for it. A space, the garden, where they (we?) lived intimately with God and one another in the midst of tending to the work of creation. The first job in the first workplace, a co-op of sorts, with God at the center. Good leaders, especially Christian leaders, creatively impact their organizations by partnering with God and others in developing love nests, environments, that foster a culture of willing and acting for the good of their community of co-workers, for their organization and for those the organization serves. Good leaders do this intentionally and usually very naturally. In Genesis it is clear that God took great care in creation because of his perfect love. Good leaders also love. They love the people they work for and with in order to achieve a greater purpose. In the church I serve (and I hope in my family and other places of influence), I want to create those kinds of environments. Places where those I minister alongside can risk greatly, live fully and flourish together in community. I know I don’t always get it right – especially when I let anxiety make me stupid – but at the end of the day, as a leader I want those around me to know they are loved and have the freedom to creatively live into their callings.